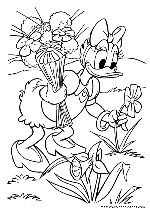 Daisy Duck is Daisy Duck is one of Walt Disney's cartoon and comic book characters. 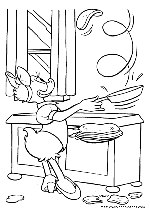 She was created as a female counterpart and girlfriend to Donald Duck, and first appeared in the cartoon "Mr. Duck Steps Out" in 1940. 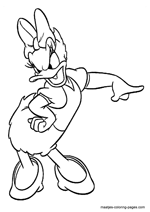 Daisy has Donald's temper but has far greater control of it (although on rare occasions her temper can burst out and she can get into rages similar to Donald's), and tends to be more sophisticated than her boyfriend. She usually wears either no pants herself or a dress. She is mostly shown as showing a strong affinity towards Donald. 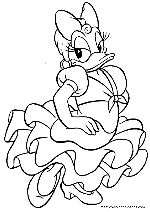 Daisy replaced (or, according to some sources, represents a later form of) a short-lived early love interest named Donna Duck, who first appeared in the cartoon "Don Donald" in 1937. 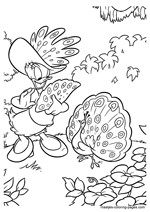 In a short 1951 comic strip continuity, Donna returned, ret-conned into an unrelated Mexican girl duck who functioned as a rival for Donald's affections. 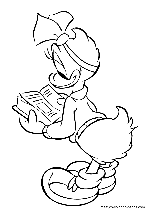 Daisy is the aunt of triplets April, May and June Duck, who serve as Huey, Dewey, and Louie's female counterparts. 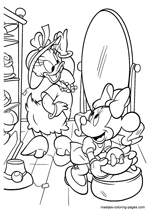 In some appearances, Daisy is presented as a close friend of Minnie Mouse. Daisy is a V.I.P. member of the Mickey Mouse Club. 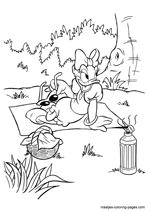 According to the unofficial timeline of Don Rosa, Daisy was "born" in 1920. 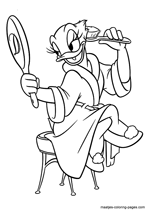 According to Rosa, Daisy is the sister of Donald's brother-in-law � Daisy's brother had married Donald's twin sister, Della Thelma Duck, and together, the two became the parents of Huey, Dewey, and Louie Duck. This is his explanation of why the triplets tend to call her "aunt Daisy" while no such courtesy is given to Gladstone Gander for example. Their common last name points to both Donald and Daisy being members of the Duck family. Several stories consider them cousins but none has specified their relationship. Current speculation by Donaldist Maurice who has studied and compared various versions of the family tree is that the two are second cousins. 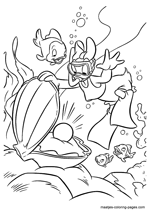 Don Rosa has however said that he considers Donald and Daisy to be nonrelated and that Duck simply is the Duckburg universe equal to Smith, being a common surname. 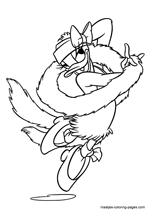 Donna Duck served as a precursor for Daisy in both animation and comics. She first appeared in a one-page illustration titled "Don Donald" and published in Good Housekeeping #3701 (January, 1937). The page was illustrated by Thomas "Tom" Wood (1870s - October 4, 1940) who was head of the Walt Disney Studios' publicity department from 1933 until his death. 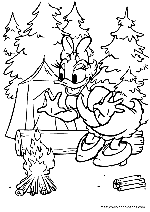 She went on to appear in the "Donald and Donna" comic strip published in Mickey Mouse Weekly from May 15 to August 21, 1937. The Weekly was a United Kingdom publication and the strip was illustrated at the time by William Arthur Ward. However her co-starring role was brief.